Eitan Ginzberg xxsxis the author of Lázaro Cárdenas, gobernador de Michoacán, 1928-1932 (1999), and Genocide. Encounter and clash: The destruction of the Indian nations in Latin America (2009). His research focuses on questions of infra-political resistance, history and culture of Latin America, and the study of genocide. Dr. Ginzberg serves as a researcher at the Sverdlin Institute of Latin American History and Culture at the University of Tel Aviv. Lázaro Cárdenas and Adalberto Tejeda, veterans of the Revolution and prominent governors of Michoacán and Veracruz from 1928 to 1932, strived to make Mexico a modern and just state on the basis of the revolutionary Constitution. Three key obstacles confronted them: the conservative approach of the political Center; the political weakness of their own power base; and the great opposing power of the farmers and their supporting elements, especially the Church and the army. This book discusses the different avenues to reform these leaders took and their short- and long-term implications. Cárdenas sought to strengthen his position through the ruling party (PNR), while reinforcing local agrarian forces and opening channels of direct empathetic communication with the Church and the army. Tejeda attempted to strengthen his position in the federative arena, bypassing the political Center via the National Peasant League (LNC – Liga Nacional Campesina), whose establishment he was deeply involved in, making a sweeping radical reform while attacking uncompromisingly all the traditional elements of Veracruzan society. Both political projects had unprecedented success but totally different implications. The Cardenista power base led its author to the next Presidency, during which he implemented a remarkable agrarian project. Tejeda’s power base, however, led to the utter annihilation of his political power structure and many of his agrarian achievements, as well as to his failure in the struggle for presidency. From that point of view, only a heavy bureaucratic, center-based reform initiative could succeed, while a local, radical, adventurous transformation was doomed to failure. The fate of the two governors corresponded to the fate of national revolutionary reformism and thus to the destiny of Mexico. 7. 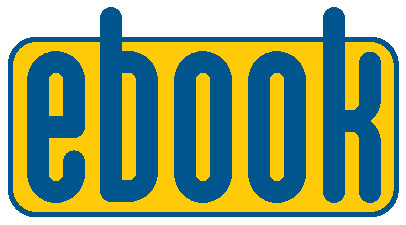 Towards a New Era? 8. The Salvation of the Ejido: A Pyrrhic Victory? Herewith a major study of two towering political leaders of the Mexican Revolution: Lázaro Cárdenas and Adalberto Tejeda. Based on extensive original research, the book perceptively analyses the careers, ideologies, and political strategies of two leaders known as notable radicals, who mobilized powerful popular movements in their respective states, Michoacán and Veracruz. Eitan Ginzberg sheds a great deal of light on processes of popular mobilization and state-formation in the 1920s and ’30s, with detailed analyses of both land reform and anticlericalism; he also offers a provocative contrast between the two leaders, suggesting why Tejeda’s intransigence led to ultimate failure, while Cárdenas’ pragmatic approach carried him to the presidency. Ginzberg offers a view of the post-revolutionary period and the institutionalization of the Mexican Revolution through the formation of the National Revolutionary Party (PNR), later Partido Revolucionario Institucional (PRI). This is a micro view of the revolution through a comparative analysis of Lázaro Cárdenas and Adalberto Tejeda, governors of Michoacán and Veracruz, 1928 to 1932 — two radical governors who struggled to modernize Mexico and fulfill the promises of the Constitution of 1917. It is a fascinating story of how the governors struggled to institutionalize and empower the agrarian and proletariat sectors, and their approaches to the conservative political center as they built their own power bases. Tejada, the more radical of the two, incorporated Marxist theories. His downfall was that he ignored the dictates of the Jefe Maximo, Plutarco Elías Calles, who neutralized Tejada. Cárdenas, although a staunch reformer, strengthened his position through the ruling party (PNR), his organization of local agrarian forces, and by opening channels of direct, empathetic communication with the Church and the army. In contrast, Tejeda attempted to strengthen his position in the federative arena, bypassing the political center via the National Peasant League (Liga Nacional Campesina—LNC). Tejeda’s failure doomed political transformation and affected the fate of national revolutionary reformism. Highly recommended. 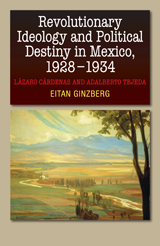 Ginzberg's careful analysis of archival sources provides insights into revolutionary politics at all level of government, sheds light on the tactics and careers of Cardenas and Tejeda, and details the struggle to implement progressive policies, particularly agrarian reforms and democratization.